Russ Styler's sense of fun and inventive humour, coupled with some amazing stand-up magic are what make his after-dinner cabaret shows a most entertaining and enjoyable experience. However, don't be fooled into thinking that Russ will be doing all the magic himself during the show! 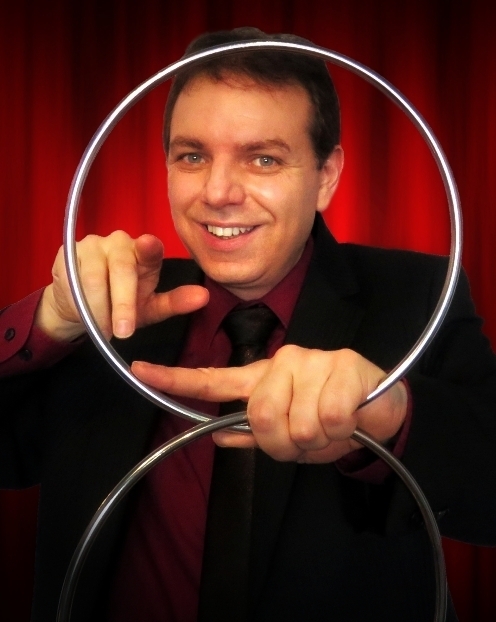 Russ likes his stage performances to be as fun and interactive as his close-up magic and therefore audience participation is invariably called upon at various points in the show. Show lengths vary according to requirements. Russ can provide anything from a ten minute spot to a full 40 minute show. Enquire for details on fees etc. However, don't be fooled into thinking that Russ will be doing all the magic himself during the show! 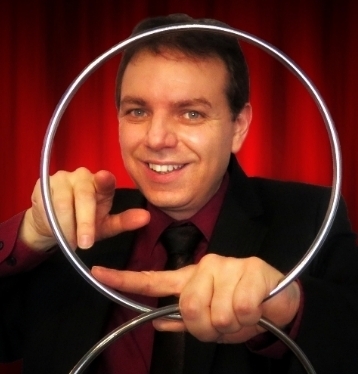 Russ likes his stage performances to be as interactive as his close-up magic and therefore audience participation is invariably called upon at various points in the show. When considering booking a magic show it is always wise to first evaluate how apt the venue is for such an act. Although Russ Styler's act is fairly self contained and takes up minimal space, the shape of a room and it's seating will need to be considered to get the best out of it. An obvious example of a potentially tricky one would be an "L shaped" room which could present a problem of visibility and positioning. A singer or comedian may find it less of a problem than a magician, simply because by necessity a magician has to be seen properly in order to be enjoyed. Likewise if the performing area is too small and the audience too close this often results in some spectators being sat way off to the sides making it hard for them to see the show and reducing their enjoyment. Generally, an ideal minimum distance from the first row or table of spectators would be roughly 8 feet or so. Russ is always happy to reply to any questions, if unsure please feel free to contact anytime. Magic shows for a more intimate type of setting, performed in what is commonly referred to as a "Parlour magic" style can also be provided for performances where there are going to be a much smaller number of guests in a smaller venue or private residence.